I was certainly on a sewing roll in August! I wonder what happened in September? I need to pick a new project. So much fabric, so many patterns, so little time! A dress would be nice. In the meantime, I have been hand-knitting. At right my "Golden Cowl" made in an extremely skinny 100% silk yarn from my favourite on-line yarn purveyor, ColourMart. Almost done. I knitted up the back first, saving the best for last. 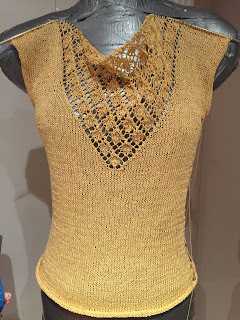 I wanted to make this on my knitting machine but the yarn kept breaking. I think I will try it again with wool, which has more "bounce" and more tensile strength. And I have been machine knitting too. I've branched out into colour/pattern in socks. Although these look complicated, they are actually pretty easy to knit. 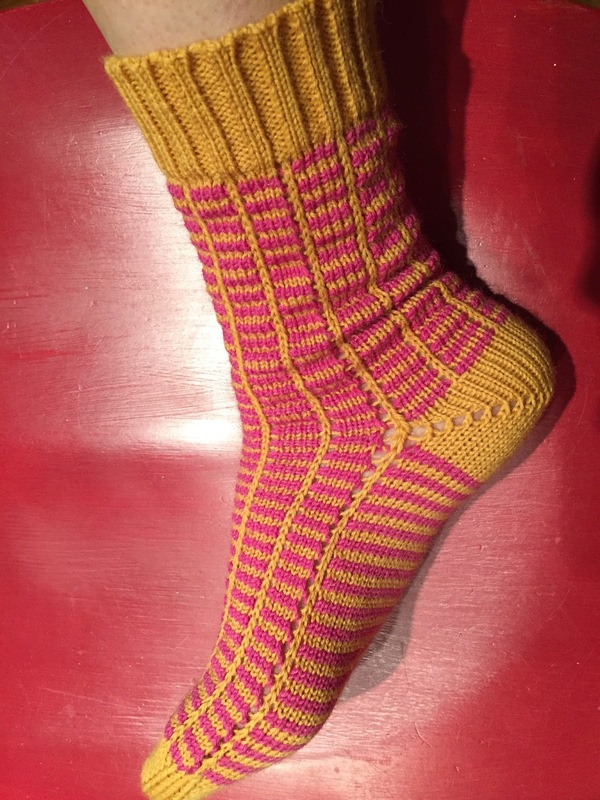 Watch out world, for more loud socks from The Sewing Lawyer! At least I have a colour-coordinated chair for background. 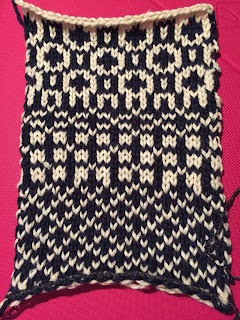 And finally, I'm gearing up for a very patterned sweater, also on the knitting machine. 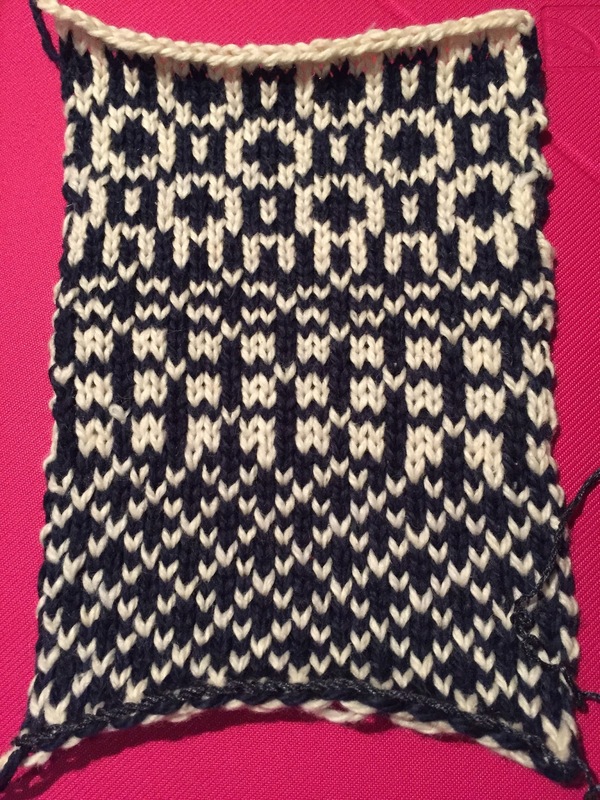 Unlike my sock (slip pattern, only one colour per row), this is stranded (two colours per row). I made this sample. I love it!